Rajasthan is one of the most beautiful states in India and on top of the bucket-list of must-visit tourist spots in the country for many travelers. This state is known for its spectacular architectural marvels, colorful festivals, soulful music, excellent art and paintings, and sumptuous cuisine. Amazing architecture has been its pride and people from across the world visit this state to explore its palaces, forts, havelis, and temples. The forts of this state are mesmerizing and make it a dream destination of many holidaymakers. Exploring this royal state is not limited to visit its palaces and other historical monuments or admire its colorful attires. Many mind-blowing activities are also waiting for you in this incredible destination. Jaipur is one of the most popular tourist destinations in Rajasthan because of its immortal royal vibes. Since most of the buildings in this especially the heritage old areas painted in pink color, this city is also known by the name Pink City. This destination is famous not only for its vibrant colors but also for its historical monuments, eye-catching architecture and busy narrow streets full of life. 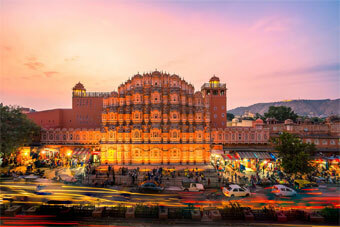 The Jaipur city continues to lure travelers with the charisma of its culture and heritage. You can see the glory of the grandeur and opulence of the Rajput rulers by visiting the monuments of this city. Some of the most beautiful attractions in Jaipur include the Hawa Mahal, City Palace, Jantar Mantar, Albert Hall Museum, Amer Fort, Jal Mahal, Jaigarh Fort, Nahargarh Fort, Kanak Vrindavan Garden, and Birla Mandir. If you are looking for an ideal destination in Rajasthan rich in culture, heritage, grandeur, and royalty, then Udaipur is a good choice for you. From stunning regal architectures to vibrant shopping centers and from serene lakes to delectable cuisine, this city offers everything for the holidaymakers and honeymoon couples. Surrounded by lush green Aravalli Hills, this awe-inspiring city is also referred to as the Venice of the East. 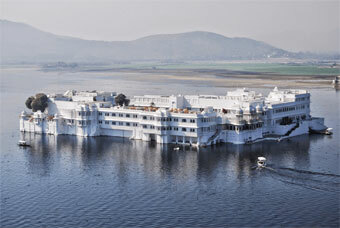 The City Palace is the most attractive sight in this city which nestled amidst the Lake Pichola. 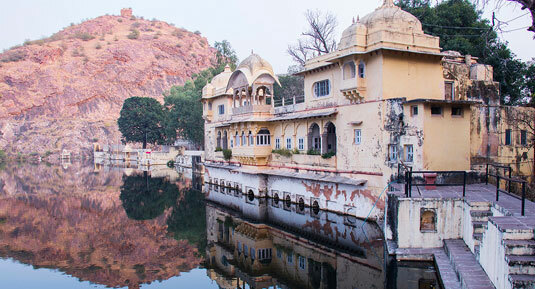 The Jaisamand Lake is another great attraction in Udaipur. It is the second largest artificial sweet water lake in Asia. The City Palace and Monsoon Palace add to the grandeur of this tourist destination. With breathtaking architecture, mesmerizing temples and abundant natural beauty, Udaipur is the crown jewel of the royal Indian state of Rajasthan. 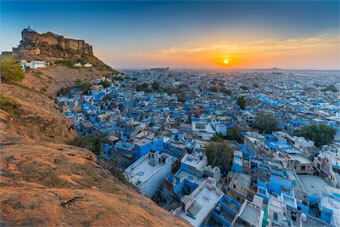 Jodhpur, the Sun City of Rajasthan is famous for its magnificent palaces and forts. It is the second largest city in the state which divided into Old and new city. This city offers numerous attractions to the visitors including the historical edifice of Mehrangarh Fort. Walking around the eclectic handicrafts markets and amazing architectural wonders of this tourist destination shall be a mind-blowing experience for each visitor. Travelers also love to relish varieties of mouth-watering local cuisine in this magical city. Jodhpur was once the capital of the erstwhile Marwar state and travelers can still experience its rich tradition and legacy in this place. Some of the most beautiful tourist attractions in Jodhpur include the Mehrangarh Fort, Umaid Bhawan Palace, Arna-Jharna Desert Museum, Ghanta Ghar and Sardar Market, Machiya Safari Park, Mahamandir Temple, and Osian. 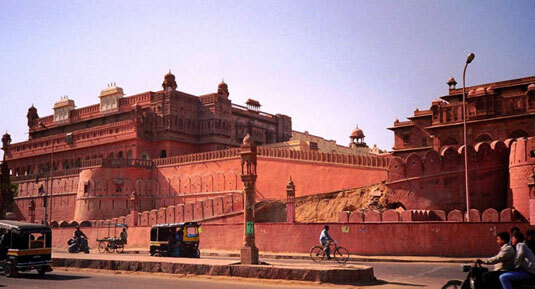 Plan a Jodhpur city tour to enjoy its royal grandeurs and charms. Never Miss out the best places in Rajasthan to experience the traditional touch of ethnicity and royalty. Jaisalmer is an ideal tourist destination in this state to spend a few days amidst the golden sand dunes of the Thar Desert. Dotted with plenty of old havelis and splendid marble temples, the unique topography of this destination allures many travelers and geologists from across the globe. The bounteous sand dunes and the vivid picture of camels with the backdrop of amazing magical sunsets make it a dream destination for many people. 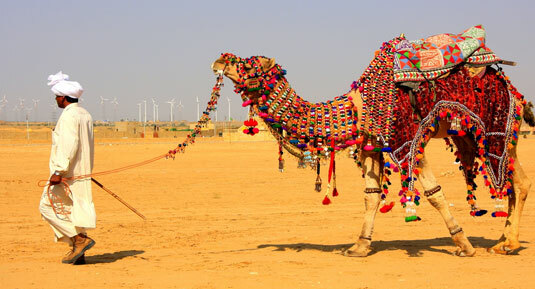 Jaisalmer offers a wonderful range of artifacts and textiles to explore. Taste delicious Rajasthani cuisine while you are holidaying in this marvelous city. People who visit this destination do not forget to try its renowned chicken delicacy, Murgh-e-subz. Jaisalmer Fort is the most attractive feature of this destination. You will also love to explore some of the magnificent havelis which are architectural splendors like Patwon Ki Haveli, Salim Singh-ki Haveli, and the Nathmal-ki-Haveli during your trip to this city. Some other famous tourist attractions in this city include Khuri Sand Dunes, Kuldhara Abandoned Village, Vyas Chhatri, Desert National park, the Thar Heritage Museum and the Mandir Palace. Make your holidays in this city a memorable one with your family or beloved by opting for a camel safari or camping in luxury tents in Jaisalmer. 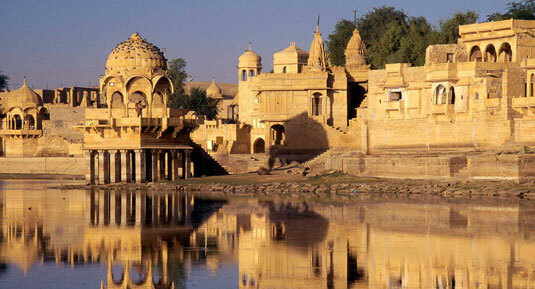 You can celebrate your life in the most exciting way if you choose Jaisalmer for your holidays in Rajasthan. 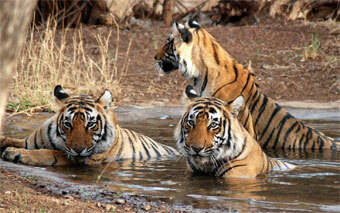 If you would like to enjoy an excellent wildlife getaway, head to the Ranthambore National Park in Rajasthan. 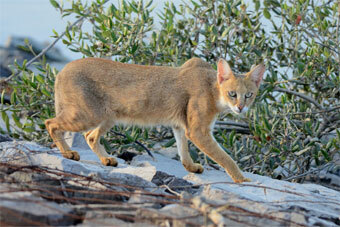 It is a paradise for wildlife enthusiasts and nature lovers. Dotted with thick forests and rich biodiversity, this national park is a natural habitat for a wide variety of wildlife species. 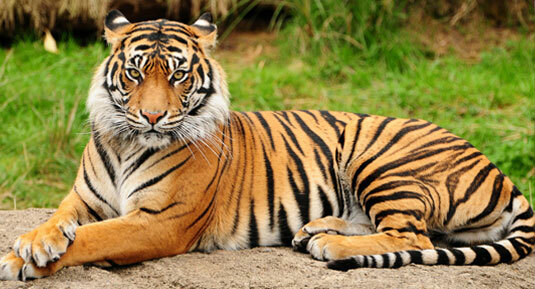 Visitors can watch some exotic beasts in their natural habitat by visiting the Ranthambore National Park. Spread across an area of 1334 square kilometers, it is one of the largest national parks in the country. This picnic spot is almost 180 kilometers away from Jaipur located in the Sawai Madhopur district of Rajasthan. Renowned for its tiger population, visitors can easily spot a mother and cub tiger groups in this picnic spot. Apart from the tiger, travelers can also witness much other wildlife in this park such as leopard, wild boar, hyena, sloth bear, chital, sambar, and nilgai. It is also home to wide varieties of birds, reptiles and exotic plants and trees. This park offers a number of safaris for the visitors through jeep, canter or elephant. Travelers to Ranthambore National Park can also visit some point-of-interest after exploring this wildlife sanctuary such as the Ranthambore Fort, Kachida Valley, Jogi Mahal, Lakarda Anantpura and Bakula region. There is no better to make your holidays in Rajasthan a special one than opting for a night under the stars at the Sam Sand Dunes. When you think of this royal state, the first thing that comes to your mind may be the desert and safaris. 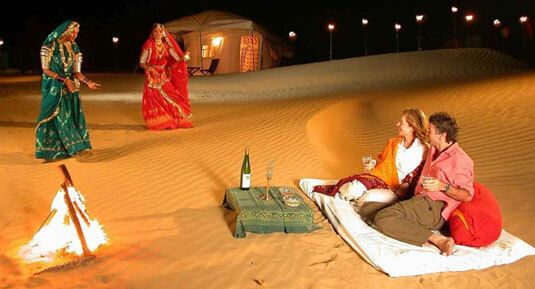 People who visit the magnificent city of Jaisalmer do not leave it without enjoying desert camping at Sam Sand Dunes. 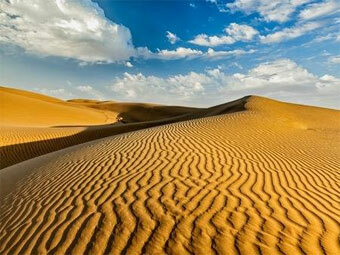 This destination offers numerous vibrant and beautiful desert camps to feel its wind. Located almost 45 kilometers away from the Jaisalmer city, travelers can reach this place by hiring a cab or driving their own vehicles. During the sunset or early morning is the best time to reach this spot. Taking a jeep or camel safari is the most convenient way to enjoy the spectacular sunrise or splendid sunsets of Sam Sand Dunes. Since this region experiences extreme weather conditions, the best time to visit this place is from October to March. 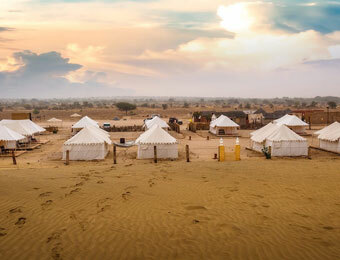 With evening folklore, exciting gypsy dance performance and fire shows, the luxurious camps arrange many things for the entertainment of travelers to the Sam Sand Dunes. If you are planning to embark on a wildlife safari with your family and friends, then the Sariska Tiger Reserve can be a good choice for you. Located almost 107 kilometers away from the Jaipur City in the Alwar region, it is one of the most visited national parks in the country. This park spread across an area of around 800 square kilometers rich with deciduous forests, steep precipices, fields and amazing sceneries. It is an ideal choice for travelers who look for widely varied vegetation where they can experience peace and tranquility. They can enjoy two slots of safaris in this park, morning and evening. Home to exotic wildlife, visitors can watch several animal species in this park such as Jungle cat, wild dog, jackal, tiger, sambar, nilgai, langur, wild boar, chital, and hyena. 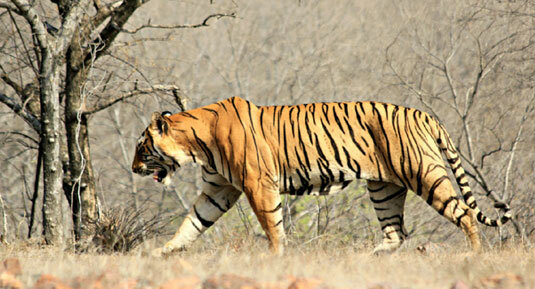 From October to June is the best time to visit the Sariska Tiger Reserve. This park remains closed from July to September for visitors but it is accessible throughout the year for the wildlife photographers. 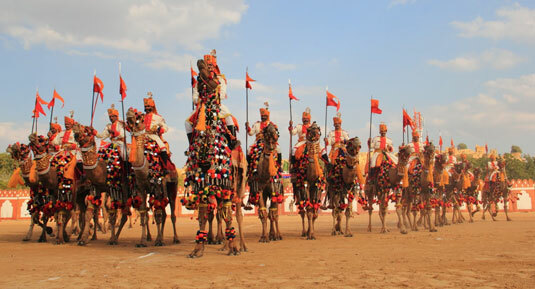 Embark on a trip to Rajasthan to participate in the amazing Pushkar Camel Fair. This largest cattle fair in the world is a grandiose display where you can watch the cultural diversity of India. 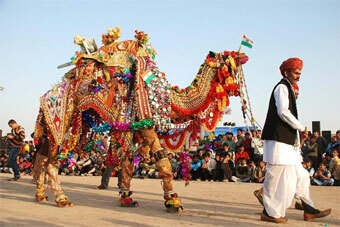 People from across the world visit Pushkar during this time to enjoy this spectacular fair. This festival also has several events and contents which make it more exciting. 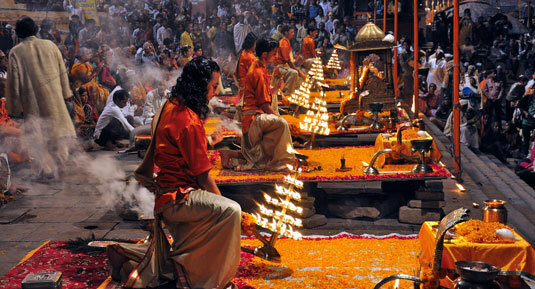 Pushkar Camel Fair held each year in November during the time of the full moon Kartik Purnima. This fair is an ideal opportunity for the visitors to witness the carnival, color, and spectacle of a grand traditional festival. Many farmers, villagers, and traders from different parts of the state come to the venue over a period of fourteen days with their livestock. Hindu pilgrims take a holy bath in the gorgeous Pushkar Lake and visit the Lord Brahma temple to offer prayers during their visit to the fair. Be a part of the most highly-rated festival in India for a memorable travel experience. Shekhawati is another hot tourist spot in Rajasthan which is famous for its right combination of creative architectural styles. It is an ideal place to enjoy the rare art skills of the state. The forts, temples, and havelis of this destination are fine examples of the unique art skills of the people of Rajasthan. 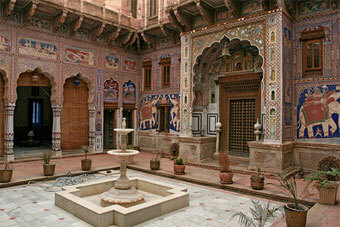 Shekhawati was once the home of the Marwari community. Mandawa is a must-visit place during your trip to Shekhawati. It is a beautiful small town that lures travelers with its alluring havelis and majestic forts. The beautiful structures of this destination remind one of the social and cultural hubs in the bygone era. If you would like to explore different places during your vacation, Mount Abu in Rajasthan is a perfect choice for you. It is the only hill station in this royal state that fascinates travelers with its stunning nature, mind-blowing architecture and pleasant climate. There are so many places to explore in this mesmerizing hill station out of which the Dilawara Temples hold an important place. 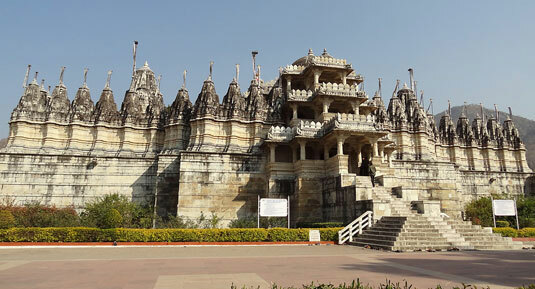 Known throughout the world for its amazing architecture and attractive marble-stone carvings, this architecturally renowned Jain temple displays the high-quality craftsmanship of the workers of the bygone era. The entranceway of this temple is opulent and spectacular. 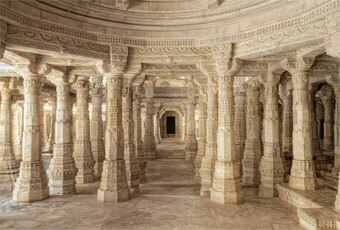 Dilwara temple is only 2 ½ kilometers away from Mount Abu. Visit this temple to enjoy its eye-catching artistic work.